Artichoke Soup recipe will be posted soon in season. My Artichoke recipe was the first one that I shared with you all via my Instagram and the overwhelming response was what inspired me to create a space to share more. 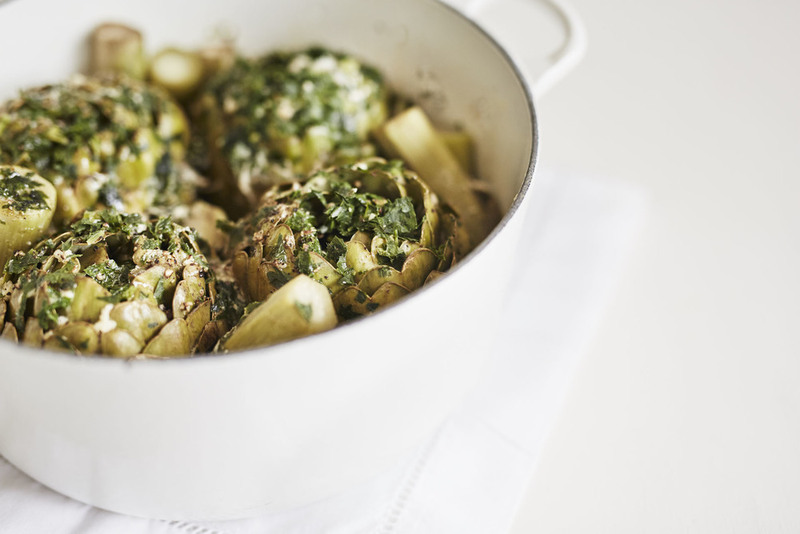 This artichoke recipe is one of my favourites and I always send my children home with takeaway containers of them when they come to visit. It makes for a great side dish or just to eat on their own! I hope that you will love to create and share this recipe with your family, as much as I have loved sharing it with you. To prepare the artichokes, cut the tops off so the stalk is separate to the heart of the choke. Lightly bash the heart of the artichokes on a work surface so that the leaves open up. To create the filling combine the eggs, parsley, parmigiana, garlic in a bowl and season with salt and ground black pepper. Stuff the filling into the artichoke petals making sure that it covers all around and through to the centre of them. 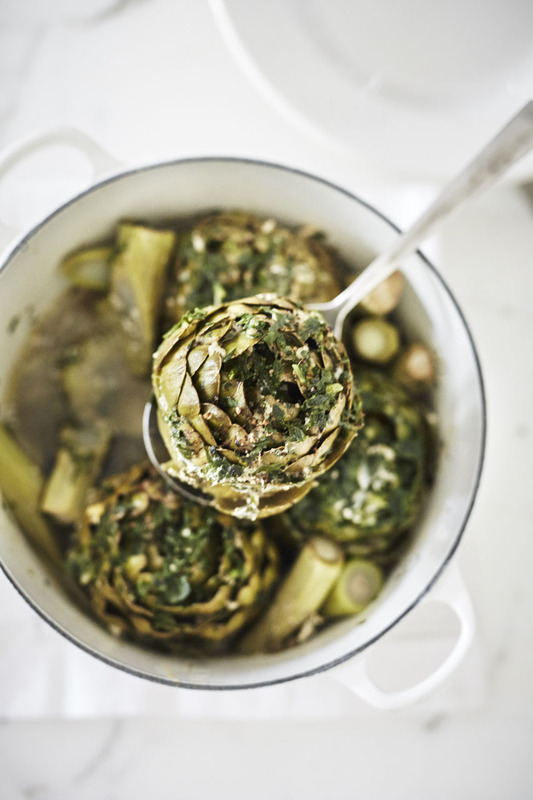 Place the artichokes tightly into a pot of water approximately 3-4 cm deep. Add the lemon to the water and drizzle oil over the artichokes. Simmer (with the lid on) on a low heat for about 30-40 minutes or until the petals are tender and pull away easily from the heart of the choke.